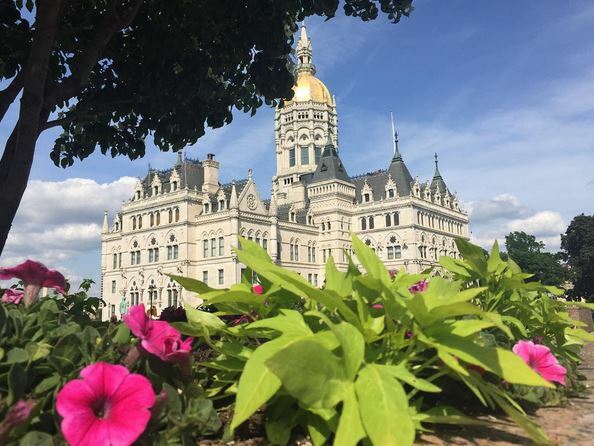 Let’s take a glance at some of the proposals being pushed this session that will cost you and your family more money and make living in Connecticut less affordable. •The governor’s toll proposal is essentially a mileage tax on our major highways. Due to the high number of gantries, it will be difficult to avoid tolls on even a short trip on our state highways. The governor also effectively starves the Special Transportation Fund (STF) which is supposed to be protected with a lockbox, leaving the STF underfunded by $729.8 million by 2024. • Expanding the sales tax to services you currently don’t pay sales tax on, like haircuts, textbooks, medicine, helmets, laundry, legal services, veterinarian visits and parking. It also includes paying sales tax on residential property renovation and repair, winter boat storage, non-prescription drugs, vehicle trade-ins, newspaper and magazines. Even paying an accountant to file your taxes could now be subject to the state sales tax. • A state-run family medical leave bill which would be a .05% payroll tax on every employee in the state whether you take advantage of it or not. The governor’s bill gives the state Department of Labor authority to raise the contribution rate to ensure solvency without submitting to the legislature. • The governor’s budget will cause municipal mill rates (property taxes) to increase with the proposed cut of town aide and the 25% shift of the teachers pensions to towns. • A proposal to raise the minimum wage to $15 an hour would no doubt raise the cost of goods and services hurting family budgets. • Bailing out the city of Hartford to the tune of $534 million for continued city mismanagement, $40 million a year. • Refinancing the state pension fund, potentially costing taxpayers billions of dollars more over the next few decades. • Refusing to make real spending reductions and instead shifting 25% of the teachers’ pension to municipalities and pushing a plan to force towns to regionalize their school districts. When all’s said and done this session, I will only advocate for legislation that lessens the tax burden on our state taxpayers, reduces the size of government and state spending. I will also fight to reduce mandates on small and large businesses to help generate job growth and maintain local control of our towns. I encourage you to contact me at the Capitol (860-240-8700) to discuss any issues or concerns. You can sign up for my email updates by visiting my website www.repmastro.com.